This spring, CARRA will be participating in the Arthritis Foundation’s Walk to Cure Arthritis events and we encourage you to join us! In my last President’s message I looked back at events from the prior six months. On this occasion I would like to look forward. 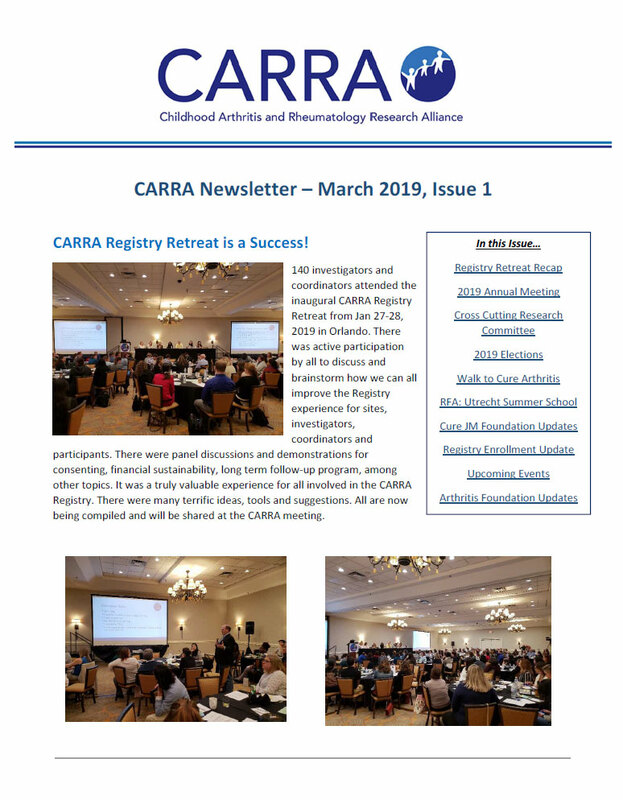 CARRA members are engaged in a number of exciting projects that will have impact on our community, and I would like to highlight a few of these for you. The Planning Committee is also piloting a new activity at the meeting this year- Shark Tank! This is a new grant opportunity for up to $35,000 where finalists will pitch their projects in a live session to a panel of peer experts and the CARRA membership. The final decision will include audience input, so flair and originality in presentation are encouraged! This promises to be a fun and engaging event. Applications are due by Feb 25th. Details are included elsewhere in this newsletter and on the CARRA website. 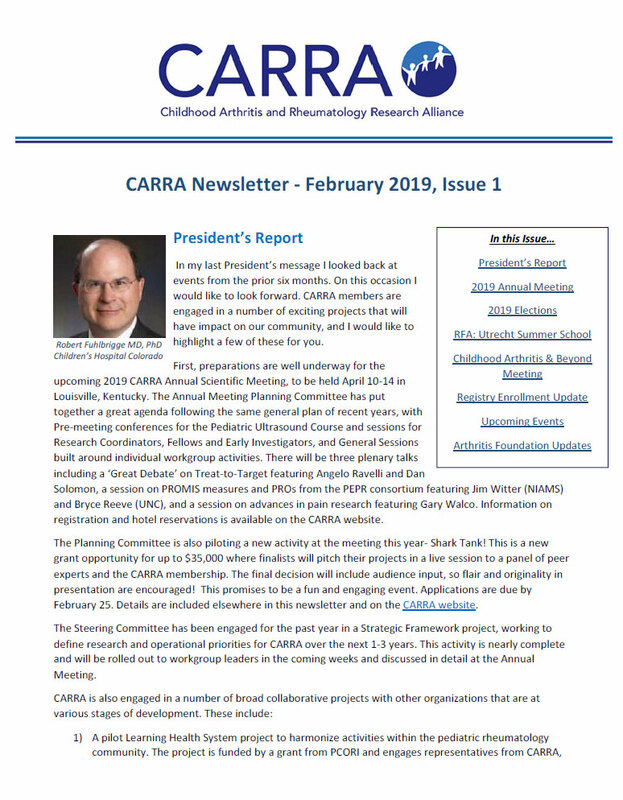 The Steering Committee has been engaged for the past year in a Strategic Framework project, working to define research and operational priorities for CARRA over the next 1-3 years. This activity is nearly complete and will be rolled out to workgroup leaders in the coming weeks and discussed in detail at the Annual Meeting. A pilot Learning Health System project to harmonize activities within the pediatric rheumatology community. The project is funded by a grant from PCORI and engages representatives from CARRA, PR-COIN and the Arthritis Foundation to work with consultants from the Anderson Center for Health Systems Excellence. Discussion on alignment of CARRA research initiatives and data/ sample collection methods with UCAN CAN DU (www.ucancandu.com/). This is an international effort focused defining best practices in treatment and support for translational research. 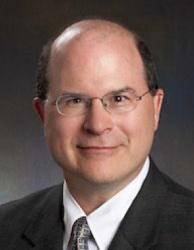 Collaboration with the Pediatric Rheumatology European Society (PReS) to expand connections between North American and European pediatric rheumatology communities. In addition to the existing exchange of early investigators to attend the CARRA and PReS annual meetings and opportunities for CARRA members to attend the Utrecht Summer School, we are in discussion on development of cross-community collaborative research. Ongoing interaction with the FDA regarding changing the guidance provided for development of clinical trials in pediatric rheumatology. This is a collaborative effort of CARRA with the leadership of PRCSG and the Arthritis Foundation. Although there are individuals leading each of these projects, we are always eager to engage any interested members. If you would like to join any of these efforts, or would like more details, please contact Kelly Mieszkalski or myself and we will direct you to the right contacts. 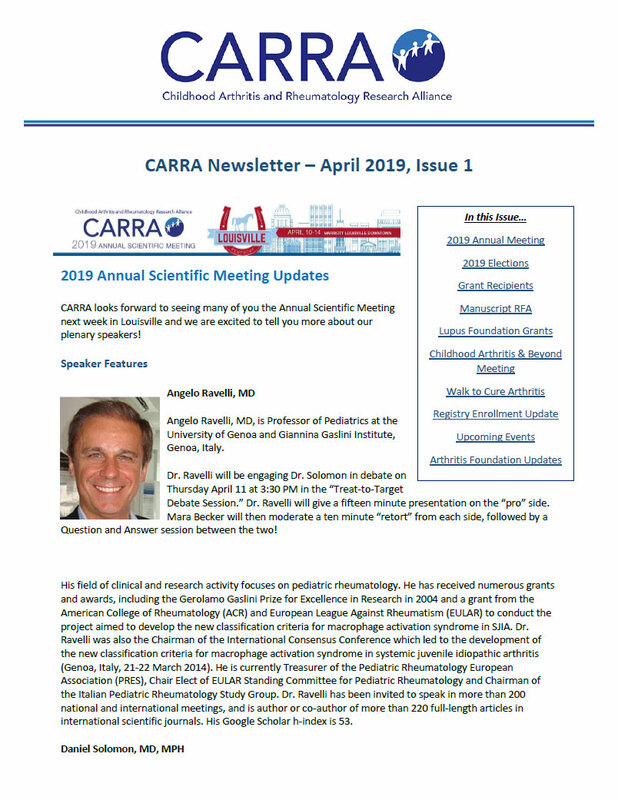 There are, of course, many exciting projects in progress within the individual CARRA Workgroups and supported by the various CARRA/ Arthritis Foundation grant programs. I am continually impressed at the variety of research and professional activities underway within CARRA and at the productivity of this community. You are all amazing. I look forward to seeing all of you at the Annual meeting in Louisville!